I got the book I wanted! The BookSale in UP Diliman did not have a world history textbook, which was quite a letdown because they have one of the best selections of foreign language literature books. 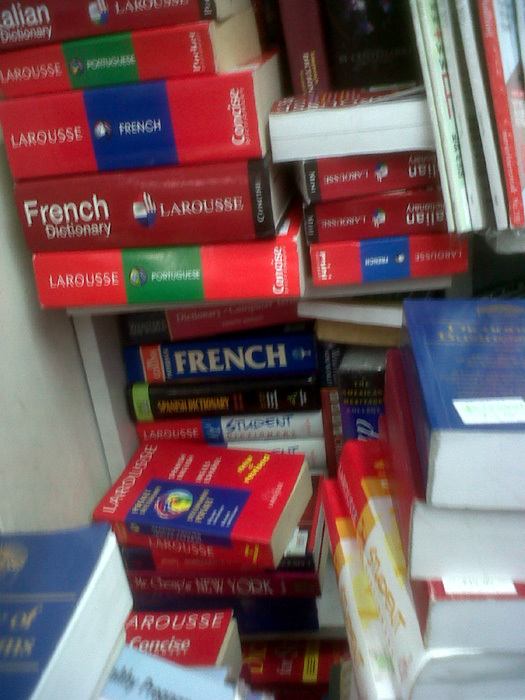 But the BookSale in Cityland near our workplace had a hardbound world history textbook for sale. It was sold at Php 415, though, and I debated for a few minutes whether to buy it or not but a brand new book definitely costs more than Php 2,000 and photocopying an entire book from the library will cost me about the same as the secondhand one — that is if I can borrow one because I’m no longer enrolled, thus can’t borrow from the library. I also had to notarize an application form and I first thought of getting it done in Marikina. But Mon mentioned that there were was a row of notary publics behind Makati Medical Center, just past McDonald’s in the Aegis Peoplesupport building. We walked to the area from our office and entered the first one, near the short bridge over the creek. I presented my application form to the lady in the counter, and she asked me for a government-issued ID. I always have my Voter’s ID with me, but when she noticed the form, she suggested I present my passport. I did not have it with me but I recall having a spare photocopy of the first page containing my personal information in the office. I just asked Mon to wait for me in the Notary Public and I then walked back to our office and feverishly searched for that important piece of paper. When I at last found it, I ran back to the Notary Public. Done, all done! 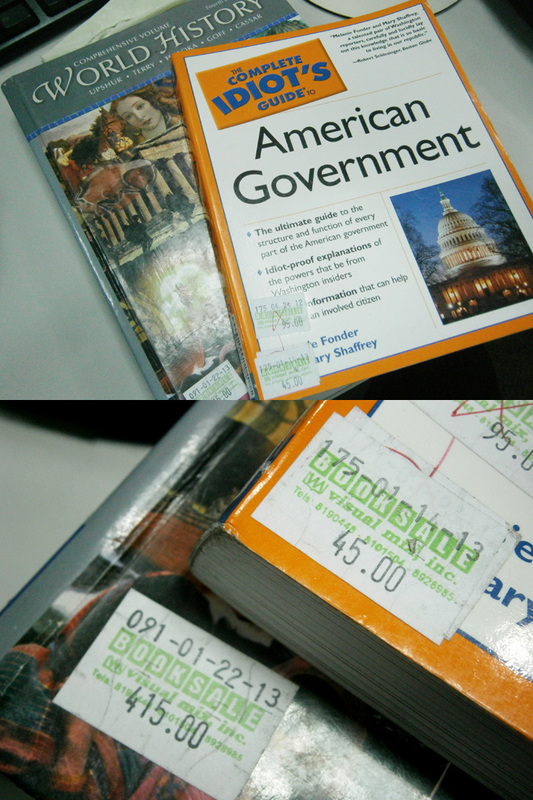 And best of all, I only paid Php 50 for the notarization fee! Bless this place! This place above, as far as a I know, no longer exists. 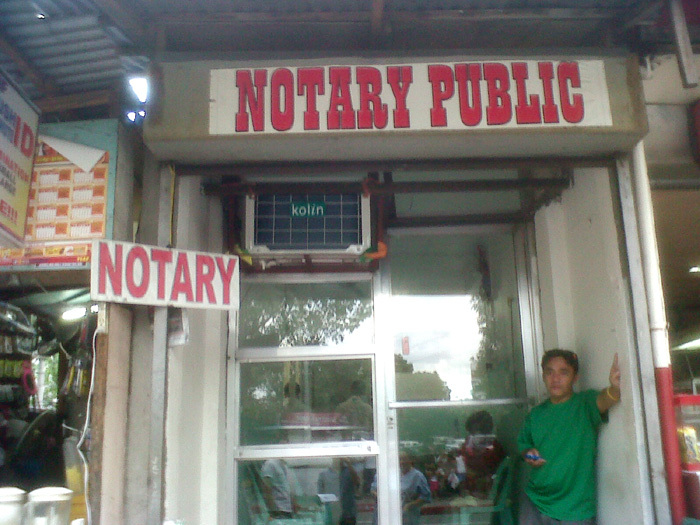 LOL But as this posts gets viewed a lot, let me recommend another notary public in Makati around the area. If you know Rodic’s in Salcedo Street, Makati (which, by the way, will close at the end of October 2017), the notary public was about 2-3 stalls to its right. 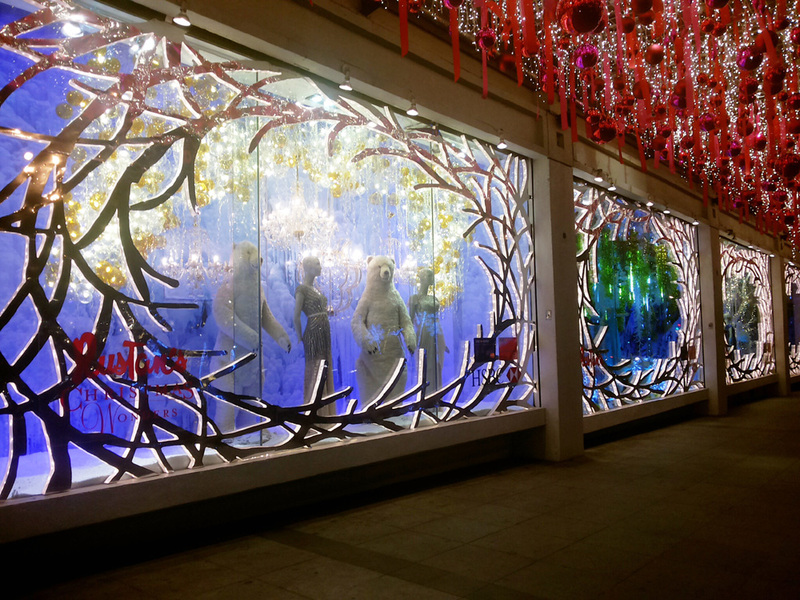 This is near Salcedo Street corner Rufino Street along the same side of Watsons and Slimmers World — practically walking distance from Makati Medical Center. It cost me less than Php 100. Well, I’ll just put a map here. Easier to follow, right?